Car insurance coverage is one of these things in life that nobody wants to associate themselves with, yet prove to be extremely useful under circumstances. Here at Sharp Insurance, we know that not everyone enjoys the process of purchasing car insurance coverage. As you probably already know, however, Canadian laws require that you be covered under a car insurance policy before hitting the road. Shop around. 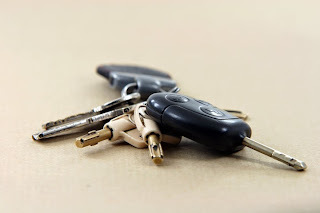 When purchasing a car insurance policy in Edmonton (or any other type of insurance policy for that matter), shopping around for the best rates is of the utmost importance. Don't settle for the first good policy that you come across because chances are that you can find a better one at a lower rate somewhere else. Request free insurance quotes. This ties in directly to the advice given above. As you continue shopping around for the best rates you will find that many insurance companies of the likes of Sharp Insurance enjoy offering free quotes to potential customers. Don't be shy; request as many quotes as possible. Doing so will give you a general idea of what to expect from certain insurance companies and might also end up saving you a lot of money down the road. Ask questions and read online reviews. Once again, don't be shy! Insurance brokers are there to help you. Reach out to insurance companies if you need to as well. Likewise, spend some time reading what customers have to say about certain insurance companies, but try to remain as objective as possible while doing so. Narrow down the possibilities. Once you have found a few potential insurance policies, narrow down the possibilities. Take a break and come back to them a few hours later before making a decision. Red Deer Driver Training Courses: Yes Or No?